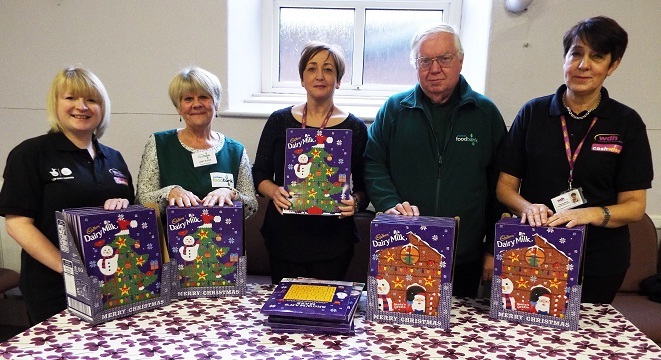 Members of the team, which provides financial support to all social housing tenants in the Wakefield district, have donated 50 calendars each to foodbanks in Pontefract and Knottingley as a thank you for hosting Cash Wise workshops during recent weeks. 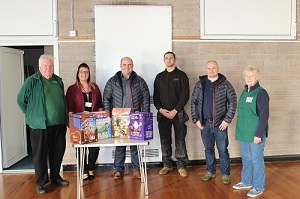 Neville Hughes from Pontefract foodbank said: “We’re extremely grateful to WDH for these advent calendars and would encourage anyone who wishes to donate to get in touch." Knottingley foodbank is open Tuesday (11am-1pm) and Thursday (noon-2pm) and Pontefract foodbank is open Tuesday (11.30am-1.30pm) and Thursday (noon-1.30pm). 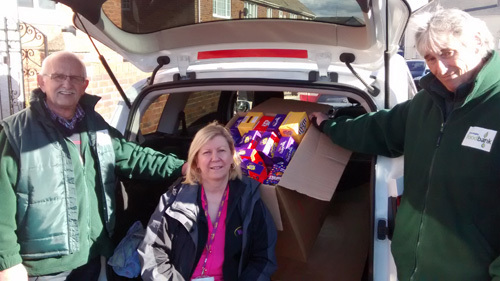 To contact Knottingley foodbank call 07581188614 and for Pontefract foodbank call 07935 530 583. Cash Wise is a big lottery funded project that helps social housing tenants right across the Wakefield district with all aspects of managing their money. For more information or to sign up for free support visit wdh.co.uk/cashwise.